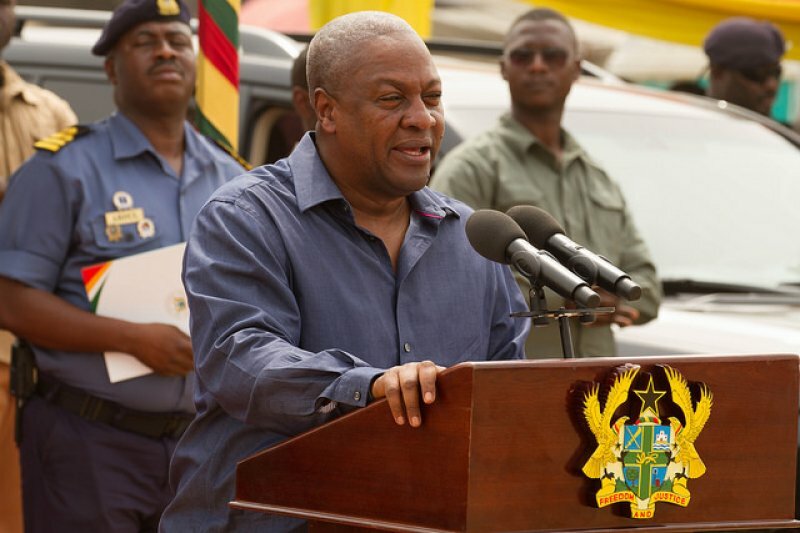 President John Dramani Mahama will not visit Okyehene, Osagyefo Amoatia Ofori Panin II, when he calls upon Paramount Chiefs in the Eastern Region including the Akyem area beginning today (Tuesday), government has said. There exist a feud between the Eastern Regional branch of the ruling National Democratic Congress (NDC) and the Kyebi Executive Council after the latter claimed executives of the party had insulted Okyehene. The Council last week issued a ban against the Eastern Regional Chairman and Regional Youth Organizer of the ruling National Democratic Congress (NDC) Bismark Tawiah Boateng and Apau Haruna Owiredu from stepping foot in the Okyehene’s palace (Ofori Panin Fie) for what the council claim is disrespect and insults hurled at the Paramount Chief over the past three years. Mr Boateng supported by Apau Haruna Owiredu is reported to have held a press conference to hurl invectives at the Okyehene after he as President of the Eastern Regional House of Chiefs, led a group of chiefs to inspect roads in the region most of which were in a bad state and questioned whether the eminent Chief was the sector Minister for him to have gone on such a tour. The Council, in its bid to enforce the ban, wrote to the Eastern Regional Minister Mavis Ama Frimpong, who was expected to pay a courtesy call on the Okyehene at his palace that week, not to bring the two to the palace, following which the Minister then decided to cancel her visit to the palace. President Mahama, who is beginning the second leg of his ‘accounting to the people tour,’ Tuesday will start from Odumase Krobo where he will pay a courtesy call on the Chiefs and people in the area and inspect some projects there. Communications Minister, Edward Omane Boamah in an interview with Joy News when asked if the President will visit the Okyehene, when he goes to the Akyem area said the President has not been programmed to meet the chief at least for now. “Sometimes we are too much interested in unnecessary controversy. There are so many chiefs in the Eastern Region, the itinerary as it is now to the best of my knowledge I will have to check, but such a visit is not contained in it. If it’s about road infrastructure, visit the Eastern Region and you’ll appreciate the extent of infrastructural development in relations to roads that has been done in the region as we speak now”. President Mahama among several exercises will inspect ongoing road works in the Krobo area, commissioning of educational facilities and some other projects. In the Afram Plains area will commission a ferry. President Mahama will also be visiting Abirem and Ofoase, which is part of the Akyem areas.